In January 2014 my first technical book was published. 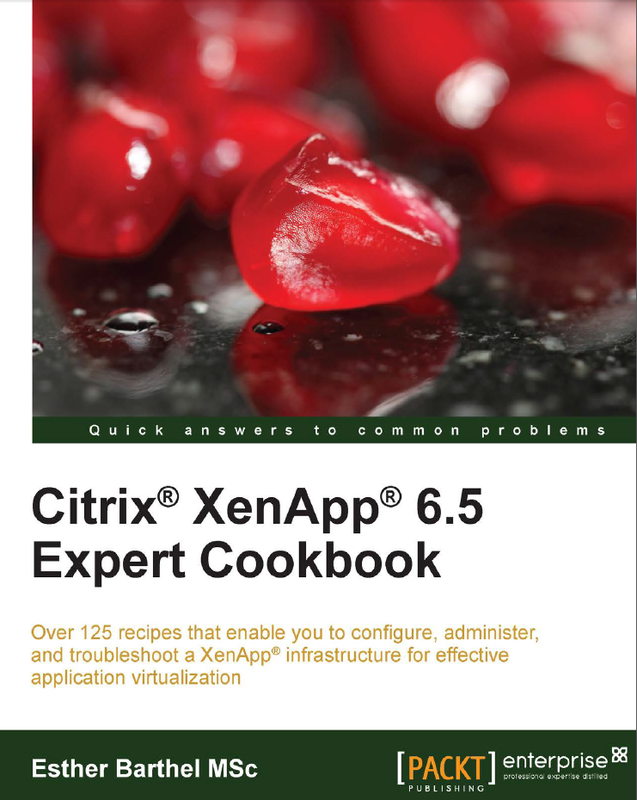 This enabled me to share my Citrix XenApp 6.5 Expert knowledge and provide readers with detailed How-To articles (or recipes) to manage, automate, monitor and improve all aspects of a Citrix XenApp 6.5 farm. I am very proud of the final result and hope it will provide readers with some great tips and tricks for their XenApp farms. Check out this page to order the book! Writing a book takes up a lot of time and is all about sharing your personal views, ideas and experiences. So you can image that I was quite nervous when the book was published and out in the open. I’m very thankful for the great review Andrew Wood wrote on the book and how he put my nerves at ease.